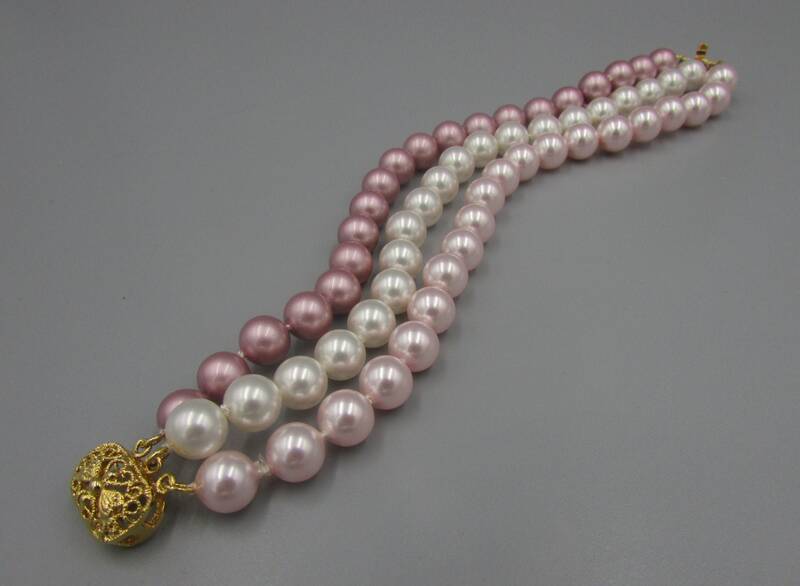 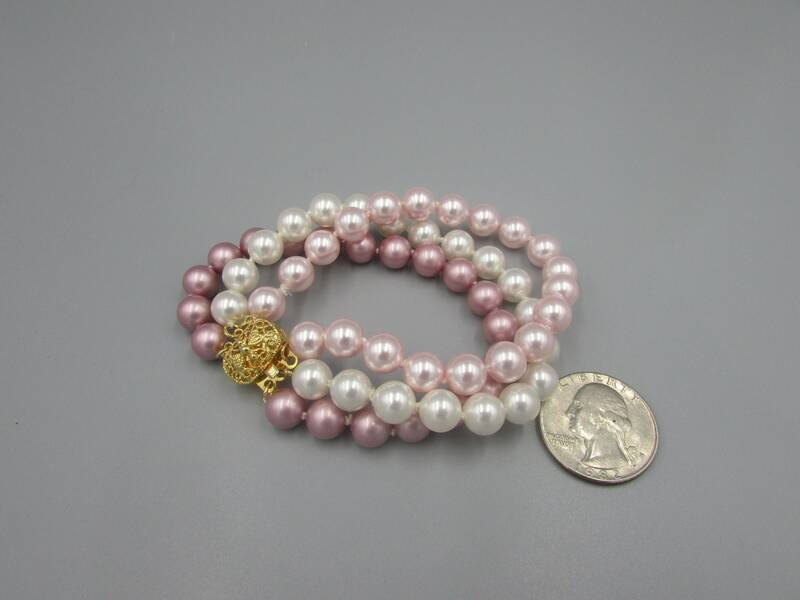 This beautiful hand knotted multi strand pearl bracelet is made with 8mm Swarovski crystal pearls, hand knotted between each pearl for beauty and durability. 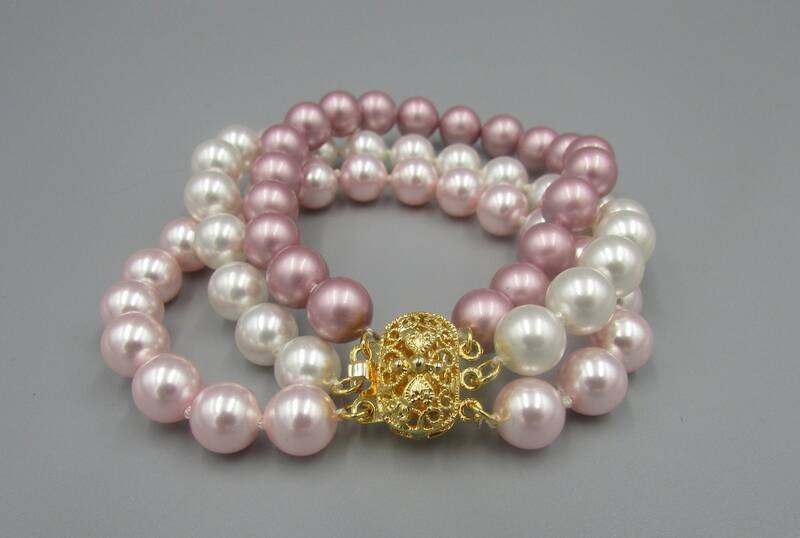 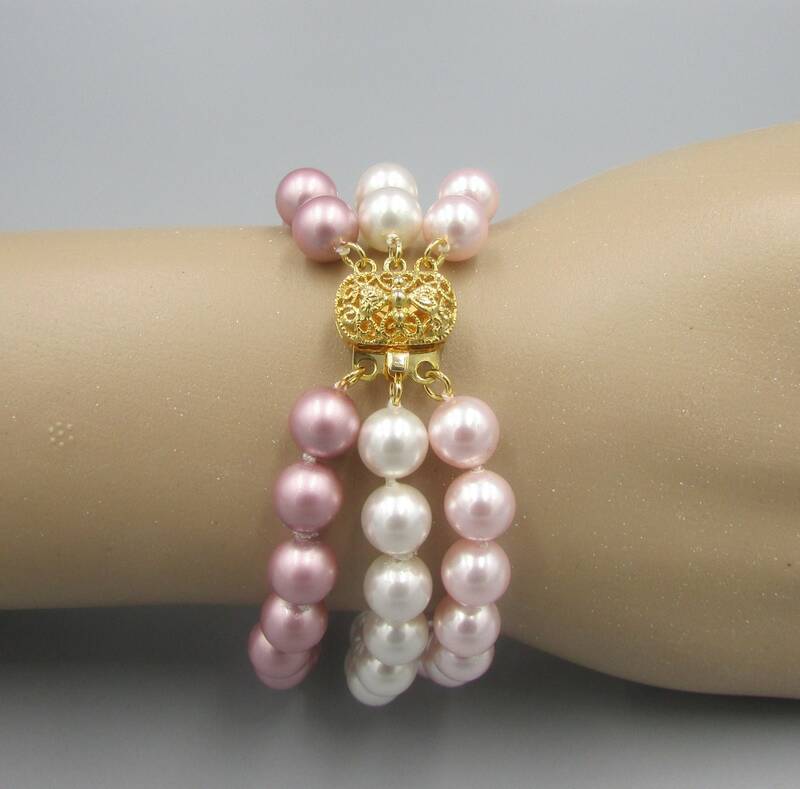 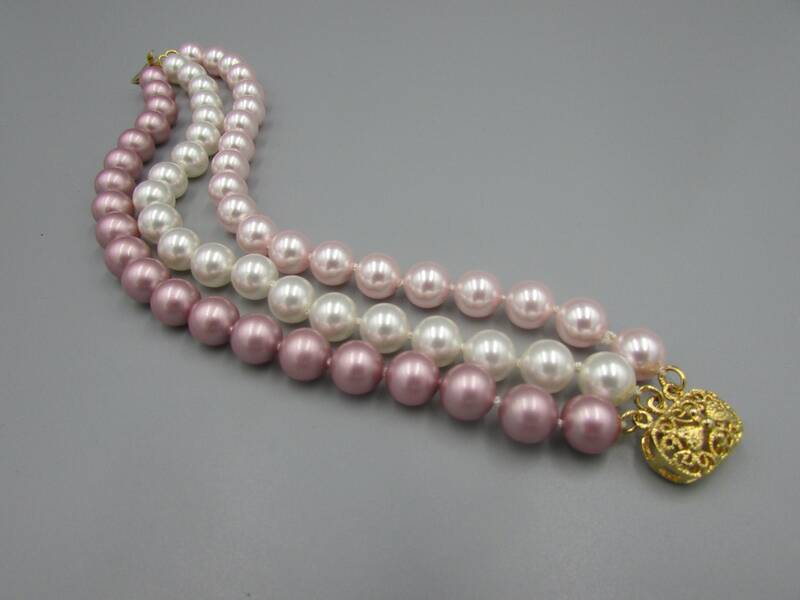 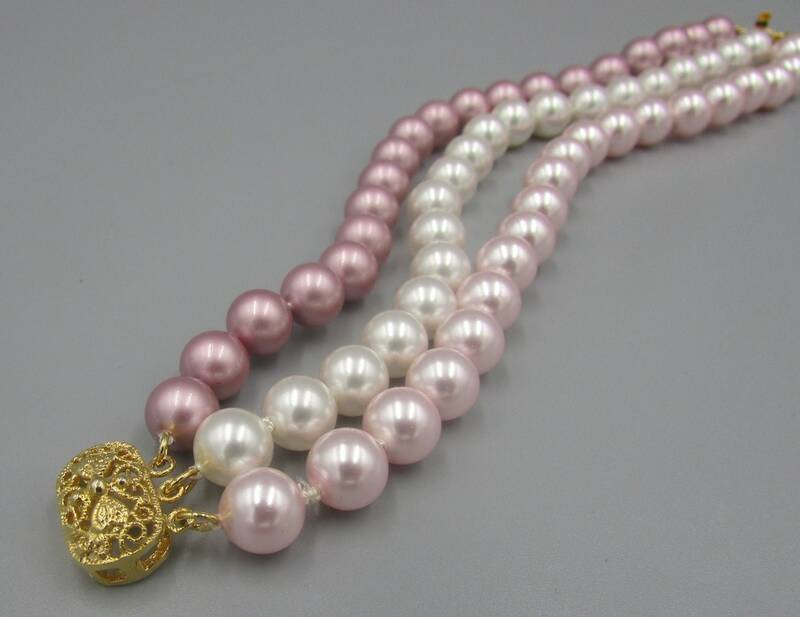 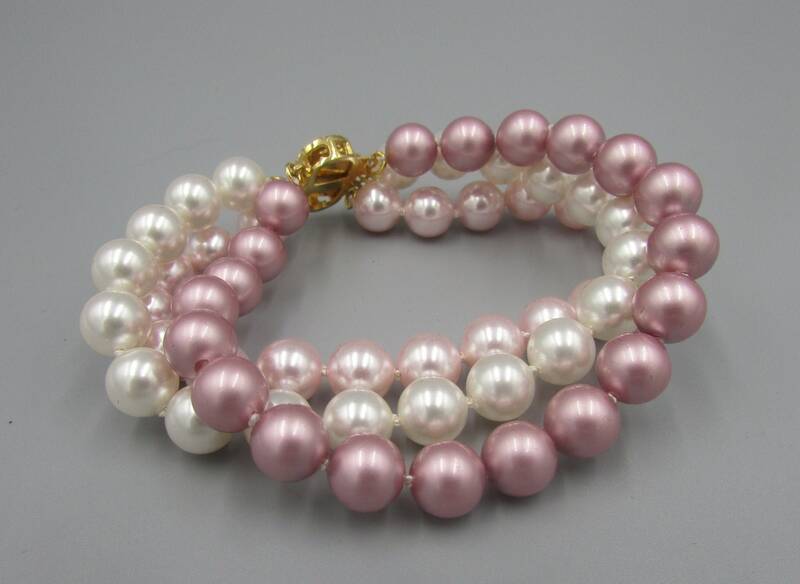 The Swarovski pearls colored are white, dusty rose and light pink. 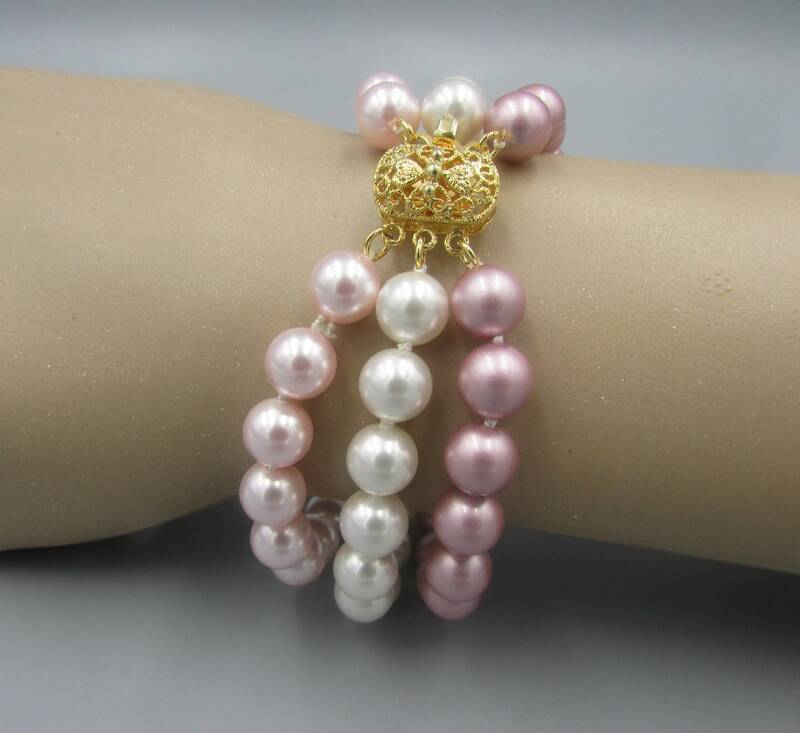 Makes a lovely gift for the bridal party or the bride. 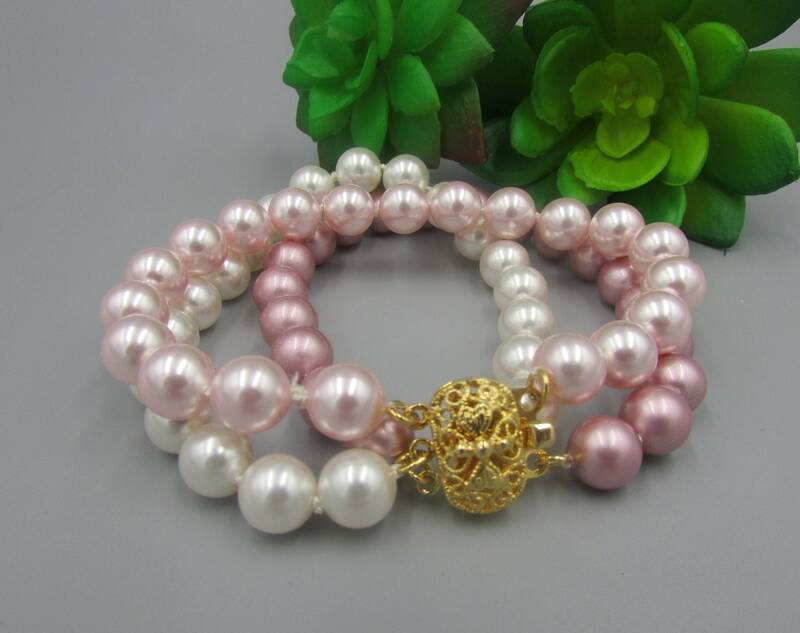 Pearls are the hottest trend of the year.